Ever wondered why a country would be carrying the same name as its capital city? Well … I always wondered what was the meaning of Djibouti, and then why the country carried the same name as its capital city. 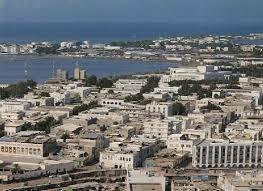 Located in the coastal Djibouti region on the Gulf of Tadjoura, Djibouti is known as the Pearl of the Gulf of Tadjoura. The origin of the name Djibouti is very controversial. However, there are two versions which are more or less plausible. The first one is based on an ancient Issa legend whereby the name Djibouti (Jab Bouti) came from a fabulous animal Bouti which used to live in those areas and was a ferocious beast killing goats, and sheeps, and terrorizing people. After a relentless hunt, the men defeated the beast, and named the area Jab Bouti or the Bouti’s defeat. The second version comes from the Afar people. The Afar named the current region of Djibouti Gabod (plateaux or uplands). The Arab sailors called it Gabouti, and later on, the French turned it into Djibouti. 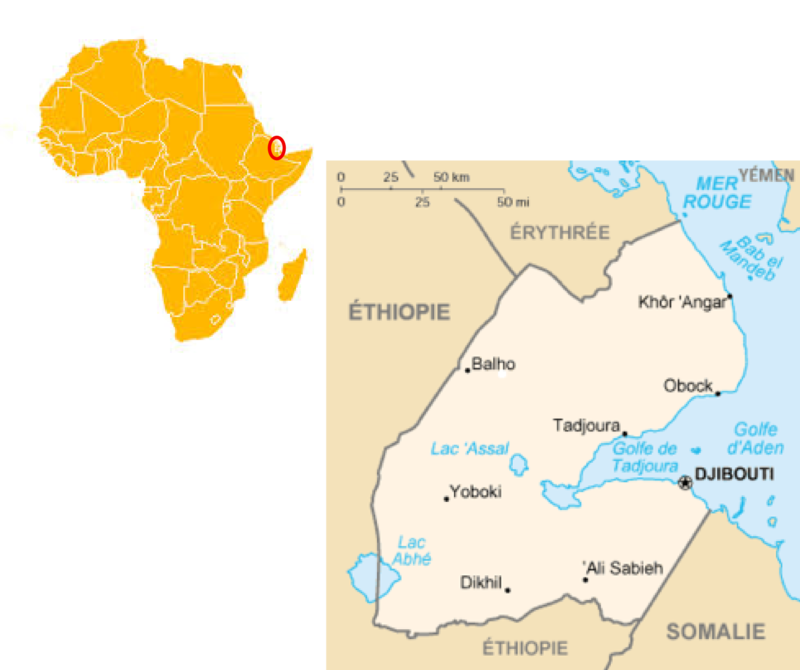 As you read these two versions, you realize quickly that Djibouti is the land of two main groups: the Issa and the Afar. From 1860 to 1894, the region north of the Gulf of Tadjoura was known as Obock, and was ruled by Issa Somali, and Afar Sultans, with whom the French signed several treaties to start the colonization of the area. That is why they (the French) later (between 1967 and 1977) called it the French Territory of the Afars and Issas (Territoire Français the Afars et des Issas (TFAI)). 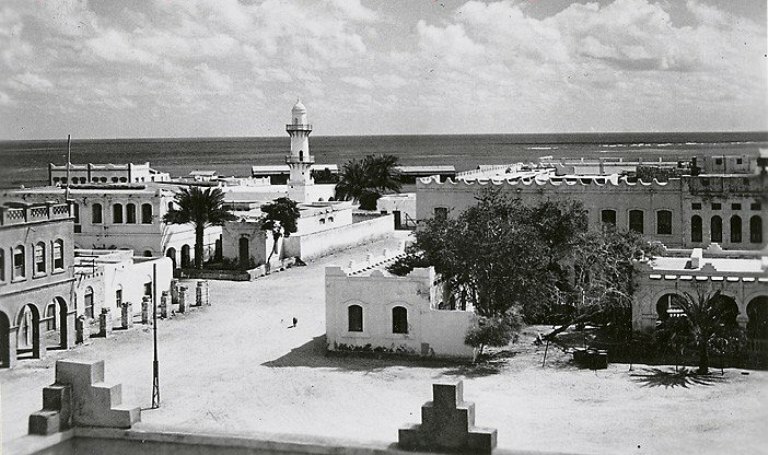 The French founded Djibouti city in 1888, and later made it the capital of French Somaliland in 1896. In the 1900s, the city considerably grew in size thanks to the construction of the Imperial Ethiopian Railway which linked Djibouti to southern Ethiopia and the Ogaden. Djibouti city is strategically positioned near the world’s busiest shipping lanes (the Red Sea and the Gulf of Aden) and acts as a refueling and transshipment center. The Port of Djibouti is the principal maritime port for imports to and exports from neighboring Ethiopia. Additionally, the city hosts a number of foreign embassies, foreign military bases (French, American, German, Japanese, etc), and is the headquarters of many international organizations, non-profit organizations and companies. Djibouti-Ambouli International Airport is the main domestic airport, connecting the capital to various major global destinations. Since 1977, the city has served as the capital of the Republic of Djibouti. Together with northern Somalia, Eritrea, and the Red Sea territory of Sudan, the Republic of Djibouti is thought to be the most likely location of the land known to ancient Egyptians as Punt, a kingdom which had close ties with Ancient Egypt during the reign of Pharaoh Sahure and Queen Hatshepsut. As I live you with this video of the pearl of Gulf of Tadjoura, Djibouti, I would like to ask this question: which of the two legends, in your opinion, is closer to the real origin of the name Djibouti? The second legend involving Arabs is more probable. Who writes this level of nonsense. The word Djibouti was derived from “Yi Buuti” which is Afar meaning ‘My plate.’, all the other versions from Somali and Arabic came later on. North of Tadjourah was never ruled by any Somali, it was always ruled by only Afar Sultans. Read and research before you write please. Thank you for your contribution, with the Afar meaning for the word Djibouti.